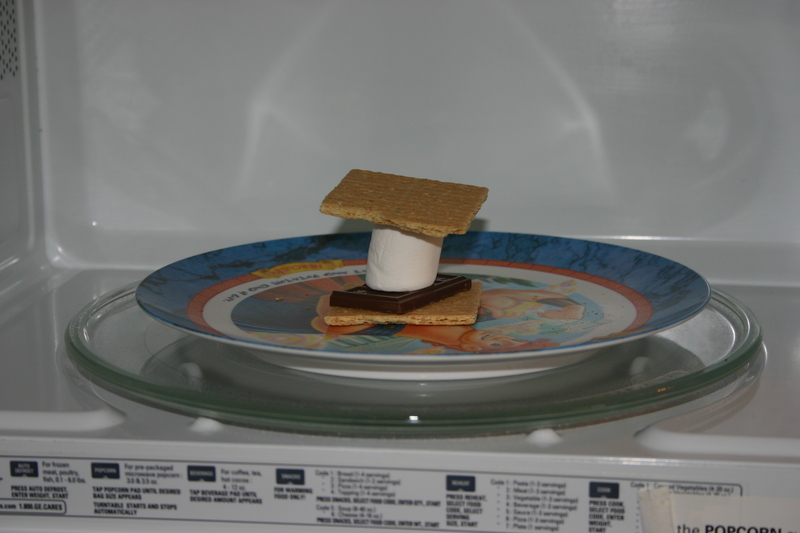 Today is both National S’mores Day and Lazy Day, so I’ve decided to combine them by making s’mores the lazy way: in the microwave. I’d say more, but that would require effort, so instead I’ll leave you with this bizarre video by Bruno Mars. So have a lazy day, and eat s’mores! yummmmm! My bf’s mom bought dark chocolate-covered marshmallows and we made s’more with ’em in the micro. mmmmmmmmm. Wow! I never knew such a product existed. I’ll have to look into that.